And it’s that landscape that has Miami police thinking of concert security in a different way this year. They’re taking lessons from last fall’s mass shooting in Las Vegas, when the gunman opened fire on a concert crowd from the 32nd floor of a hotel. It was the deadliest mass shooting in modern U.S. history, killing 58 people and leaving 500 wounded. Miami Police Chief Jorge Colina says 300 of his officers will be on duty each day of Ultra's three-day open-air extravaganza. And while looking out for dangers on the ground has always been a priority, Colina says security has expanded to consider threats that come from above. "We're communicating with every major hotel and every office building on Biscayne Boulevard and speaking with their staff," he says. "If someone sees something suspicious, there's already a direct liaison where they will contact us so we can investigate further." 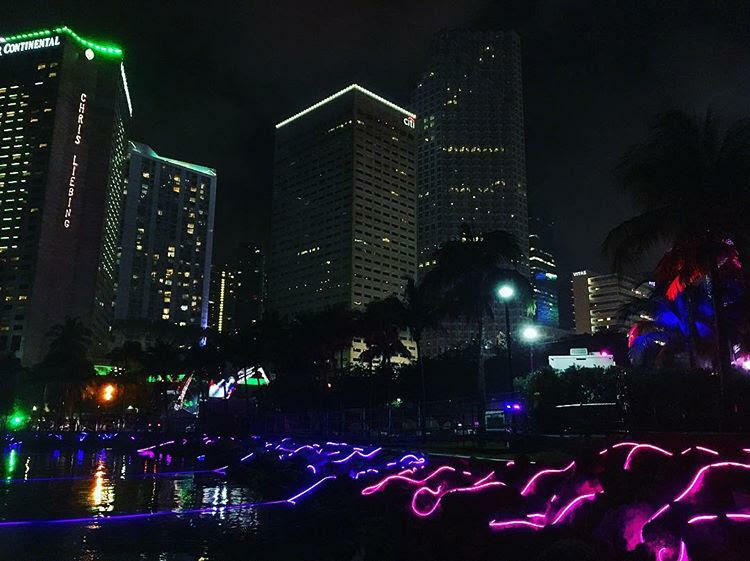 WLRN's Christine DiMattei talks with Miami Police Chief Jorge Colina about heightened security for this year's Ultra Music Festival in downtown Miami. The security detail will also include what Colina calls "elevated observation points," another term for anti-sniper perches overlooking the entire venue. The Miami Police Department will be assisted by the FBI, the Coast Guard and South Florida's joint terrorism task force. Colina's officers will also use "virtual policing," where strategically-placed static and mobile cameras will capture any suspicious behavior. -- Come drug-free. At each security point, there will be an "amnesty box" where festival goers can drop off drugs and weapons, no questions asked. -- Carry personal items in a clear plastic bag. Backpacks will not be permitted. -- If possible, use mass transit or transportation services like Uber or Lyft to get to the event as traffic surrounding Bayfront Park is expected to be congested at best. -- "Come and have a great time."